Time is over. Do you remember 2014 last post? Have you accomplished your New Year’s resolutions? Was 2015 happier than last year? Tomorrow is Nochevieja (New Year’s Eve) and the counter resets. Everybody is planning next holidays, signing up for new language courses or trying to quit smoking. Future is the star these days. However, we want to look back and go over this year. Studying the past is the best way to understand the present and even to predict future. So, we invite you to get in and remember. We advised to spend la primavera (spring) reading a book in el Día del libro (The World Book Day). We also helped you to apologize just in case you make a mistake. We tried to clarify the mess of Spanglish and finally we learnt how to cook gazpacho for summer! El calor (heat) and el verano (summer) came to our blog with a curious word “hombre” (man). Do you now that we can use it in fifteen different ways? Not only this word has “many faces”, Spanish itself is very different all over the world, and we showed it to you. But this diversity is not a problem for celebrities to learn Spanish: Eva Mendes, Matt Damon or Natalie Portman were stars in our blog. But maybe the main news for Spanish language world was the creation of a new official exam: SIELE. El otoño (Autumn) started for us talking about cinema in San Sebastian and having good pintxos and tapas. Of course, Halloween had its presence here, this festival is nowadays celebrated in all Spanish-speakers countries. However, a “more Spanish” festival was celebrated in October, el Día de la Hispanidad (the Hispanicity Day). We finished this season with an amazing data: United States has more speakers than Spain currently. In this last month, la Navidad (Christmas) was the star but the bombshell was the general elections for the Congress and the Senate in Spain. 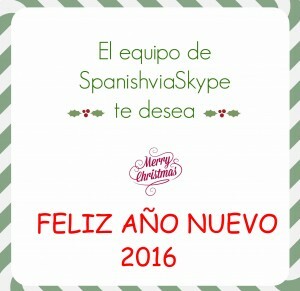 As you can see, it has been a busy year but very happy too on www.spanishviaskype.com. We met many new students who wanted to learn Spanish via Skype and they chose us as their first option. 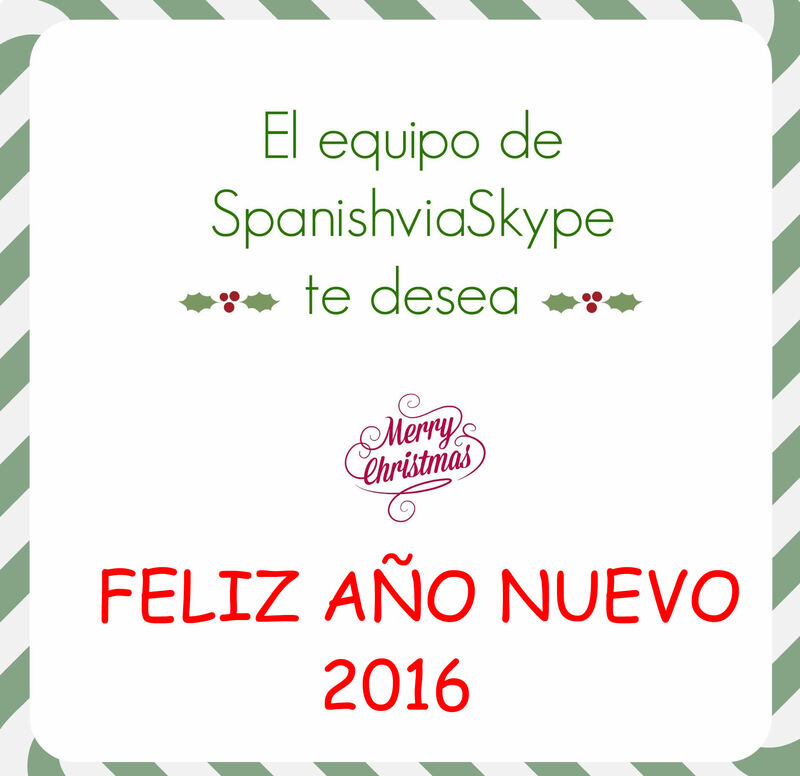 To all of them and all of you, all our team wish you Feliz Año Nuevo 2016 (happy new year 2016).